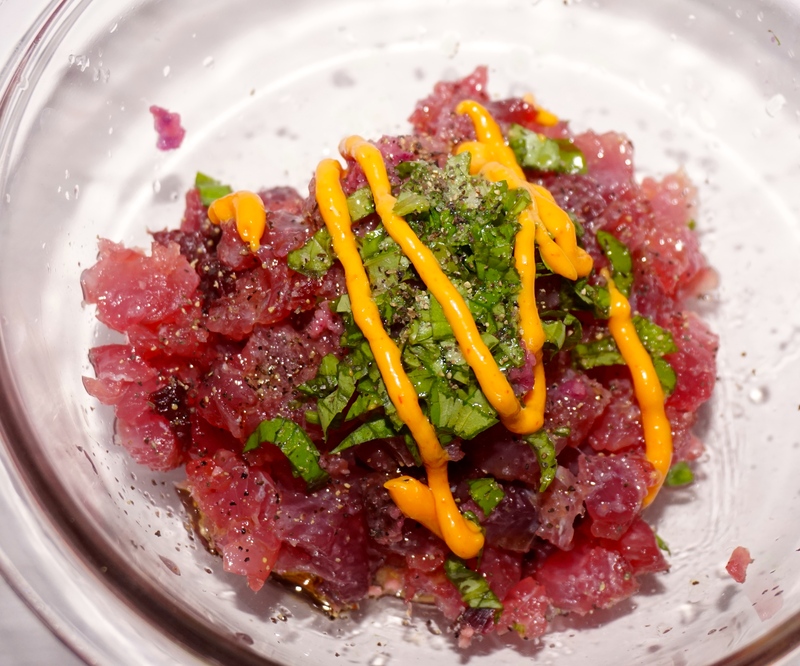 Black Fin Tuna is the Star of the night……. 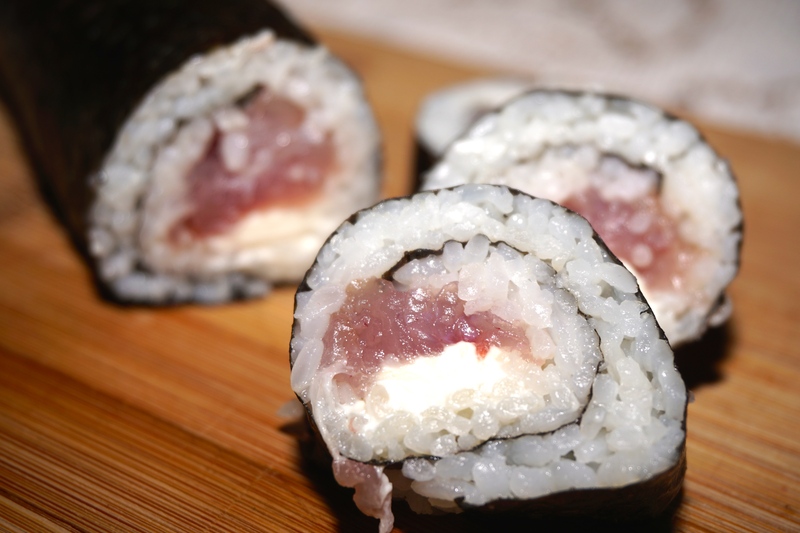 By now you might have figured out that Japanese is the most frequent food of choice at our home! 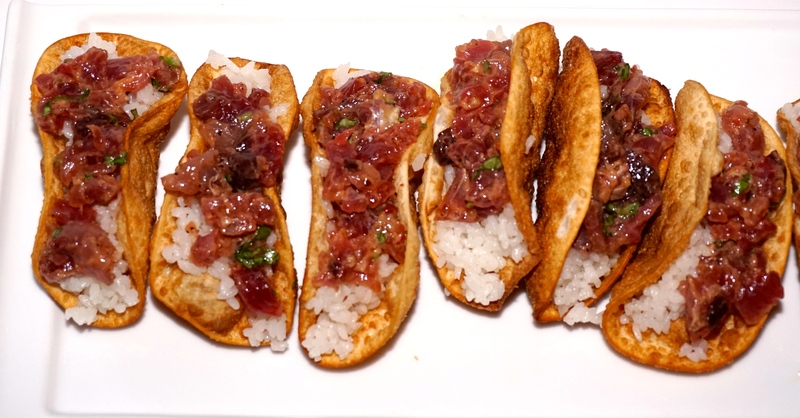 Yesterdays Tuna Tataki was fabulous, and as I still had some fresh Black Fin Tuna leftover, I embarked on a crusade to make the best ever Spicy Tuna Tartare Tacos, Spicy Tuna Tartare Rolls, and some Tuna and Cream Cheese Rolls. 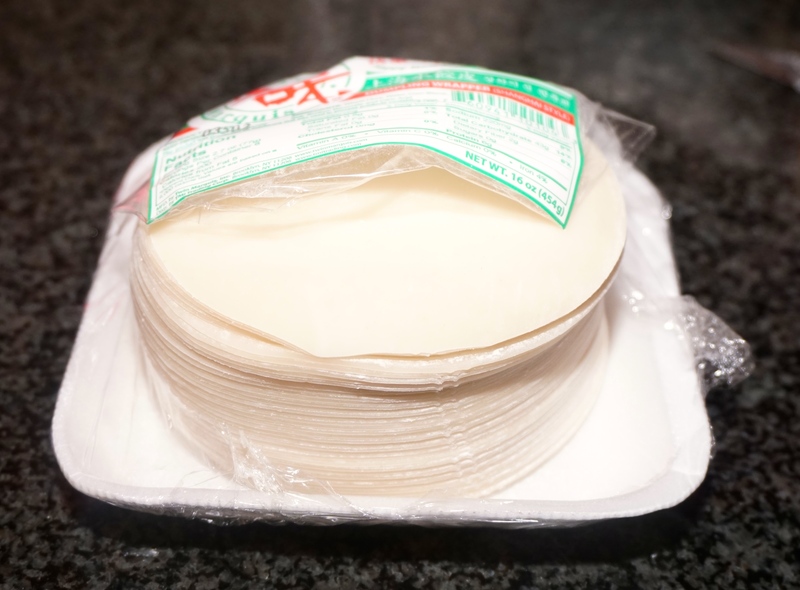 Started by trying to figure out how to get my lovely Dumpling Wrappers to look like a Taco! 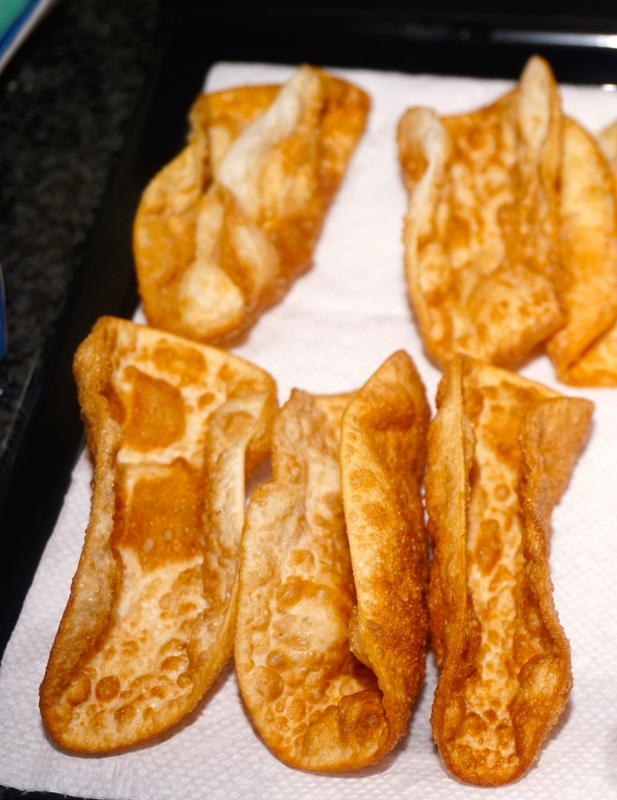 After a little bit of trial and error I managed to get the right technique going and my Tacos were born :-)! Chopped it up nicely, seasoned it with some chopped green onions, some grated onion and ginger, drizzle of sesame oil, salt, pepper and some Sriracha Mayo for a nice kick. 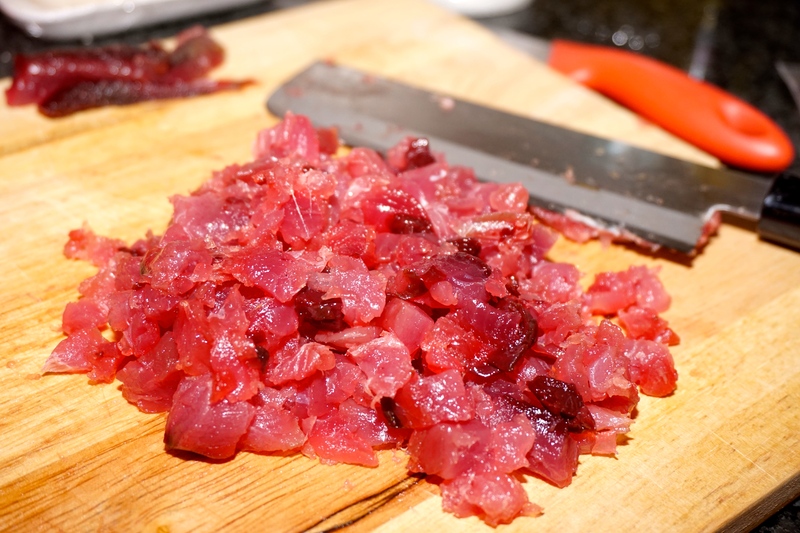 Kept the tuna tartare chilled in the fridge whilst waiting for the sushi rice to rest a bit before I tackled it. 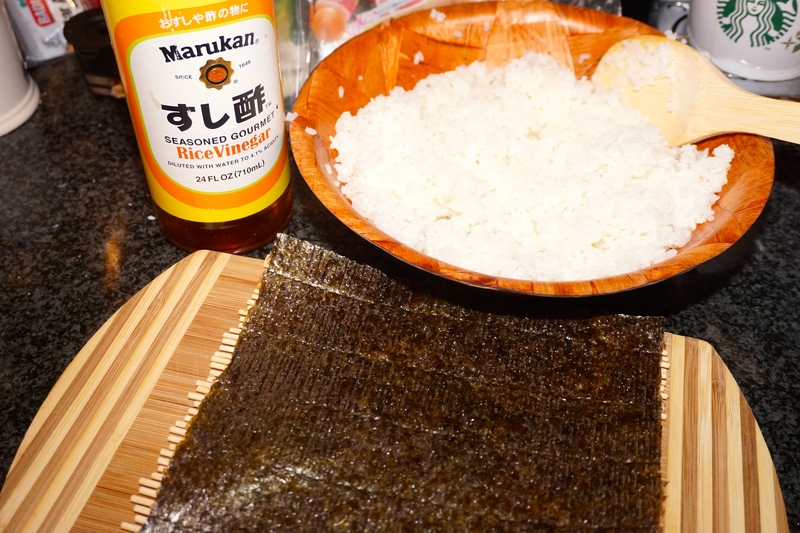 Once rice had rested enough, I added the season rice wine vinegar, gave it a quick toss and now it was time to put together my Tuna and Cream Cheese and Spicy Tuna Tartare Sushi Rolls. Once they were done, it was time to put together the Tacos! 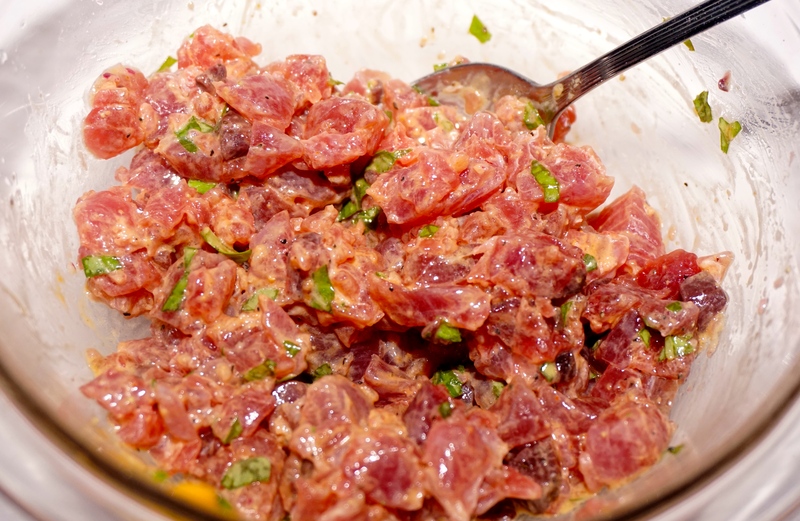 In went some rice, followed by a drizzle of Sriracha Mayo and topped with the deliciously freshly made Spicy Tuna Tartare…..
Dinner is served and I must say that having Tuna freshly caught is the best thing ever! Now I have to figure out how to get the hubby to get me some more, more often :-). Prev Hook Line and Sinker……. Next Tomatoes, Basil and Garlic……..it’s that simple.